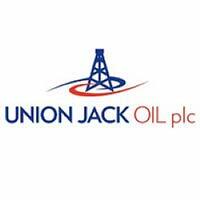 Union Jack Oil plc (LON: UJO) a UK focused, onshore oil and gas production company, has today announced that it has conditionally raised £1.75 million by way of a placing and subscription, through the issue of a total of 2,333,333,334 New Ordinary Shares at an issue price of 0.075 pence per New Ordinary Share. A Circular including a Notice of General Meeting of the Company will be posted to shareholders shortly. The General Meeting will be held at 11.00 a.m. on Monday 8th April 2019 at the offices of Osborne Clarke at 2 Temple Back East, Temple Quay, Bristol BS1 6EG. “We are grateful for the continuing investor support in the Fundraising that encouragingly was oversubscribed. We remain funded for the drilling of the West Newton-2 appraisal well that is expected to spud in April 2019. Following the drilling of that well, the Fundraising will then allow us to carry out any long-term gas production testing that is necessary, plus progress further technical and initial conceptual commercial studies on a Field Development Plan on this material gas discovery. A completed Field Development Plan will allow the 31.5 million barrels of oil equivalent best estimate contingent resources (gross) identified in West Newton to be converted into reserves, a necessary step prior to then bringing this important onshore gas field into production and generating first gas revenues. “The Fundraising will also provide sufficient working capital to bring Wressle to first production, subject to it receiving all necessary planning approvals. “This Fundraising will place the Company in a strong position to deliver growth in reserves, production and asset value, while adhering to our principles of strict financial and technical discipline and further success at either West Newton or Wressle will offer significant value upside and generate substantial future revenues for Union Jack following their development. · The acquisition of a 16.665% interest in PEDL183 licence containing the significant West Newton A-1 UK onshore gas discovery with Best Estimate Contingent Resources of 189 Bcf of gas equivalent or 31.5 million barrels of oil equivalent (gross). Union Jack is funded for the drilling of the West Newton-2 conventional appraisal well that is expected to commence in April 2019. · The further acquisition to 27.5% in PEDL180 and PEDL182 containing the Wressle discovery in June 2018 providing additional proven reserves in an attractive development project. The discovery well at Wressle-1 was drilled in 2014 and was tested in 2015, flowing a combined 710 barrels of oil equivalent a day from three separate reservoirs, the Ashover Grit, the Wingfield Flags and Penistone Flags. · The further acquisition to 22% in PEDL253 containing the Biscathorpe Prospect in March 2018. The Biscathorpe-2 well was completed on 20 February 2019 and provided indications of an effective petroleum system existing in proximity to well. The initial conclusion following the drilling of the Biscathorpe-2 well was that the Biscathorpe “play” had not been properly tested resulting in the Biscathorpe-2 well being suspended for possible future re-entry and side-track. Overall, Union Jack intends to continue its stated business plan of unlocking the value inherent in its existing portfolio of licence interests without seeking unconventional projects. However, in order to achieve this, the Company requires additional funding to implement its business plan and maintain a flexible financial position. · for general working capital purposes. On 3 October 2018, Union Jack announced the acquisition of a 16.665% interest in PEDL183 by undertaking to pay 25% of the imminent West Newton-2 appraisal well cost. PEDL183 is located onshore UK in East Yorkshire and within the Western sector of the Southern Zechstein Basin and contains the major West Newton gas discovery and numerous other prospects and leads. The West Newton gas discovery is on-trend with the prolific Hewett gasfield complex which had Original Gas in Place of 419 Bcf. Regionally, West Newton and Hewett are located in the Southern Permian Basin which contains approximately 24 Tcf of gas and 250 million bbls of oil combined in production areas in Poland, Germany and the Netherlands. The West Newton-2 conventional appraisal well is defined from 3 Component 3D seismic and is due to commence drilling in April 2019. The West Newton A-1 gas discovery well was drilled and logged in 2014. Best Estimate Contingent resources are 189 Bcf of gas equivalent (“Bcfe”) or 31.5 million barrels of oil equivalent (“boe”) (gross). Reflecting its status as an existing gas discovery, the West Newton-2 conventional appraisal well has a combined geological and commercial Probability of Success of 60%. The Operator’s estimated unrisked project economic evaluation indicates NPV10% before tax of US$247 million or $7.84 per boe and yields a 52.5% rate of return. The Operator has identified a significant oil exploration target in the Cadeby Reef formation located below the existing discovered gas Contingent Resources. As part of the proposed West Newton-2 appraisal well, the Cadeby Reef oil exploration target will also be drilled as a secondary target. The Cadeby Reef has Best Estimate Prospective Resources of 79.1 million boe (gross). The Cadeby Reef oil prospect has an estimated geological Chance of Success of 26%. The Operator’s estimated unrisked project economic evaluation indicates NPV10% before tax of US$850 million or US$10.75 per boe and yields a 104.8% rate of return. In addition, the Operator has also mapped a number of additional attractive prospects and leads on the licence that would add to the significant Prospective Resources mentioned previously. An updated investor presentation, including details on PEDL183 and the West Newton gas discovery, is available on the Union Jack website at www.unionjackoil.com. The Fundraising is conditional (amongst other matters) on the passing of the necessary resolutions to approve it being passed at a general meeting of the shareholders of the Company (the “General Meeting”). Accordingly, a General Meeting of Union Jack Oil plc, to be held at the offices of Osborne Clarke LLP at 2 Temple Back East, Temple Quay, Bristol BS1 6EG at 11:00 a.m. on 8th April 2019. A copy of the Circular to shareholders incorporating the Notice of General Meeting is available on the Company’s website (www.unionjackoil.com). The Directors consider that the passing of the Resolutions to be proposed at the General Meeting is in the best interests of the Company and Shareholders, as a whole, and unanimously recommend that Shareholders vote in favour of the Resolutions to be proposed at the General Meeting as they intend to do in respect of their own beneficial holdings of 1,549,010,091 Existing Ordinary Shares, representing approximately 18.33 per cent of the Existing Ordinary Shares, including Frazer Lang, who is the beneficial owner of 1,272,622,508 Existing Ordinary Shares, representing the shareholding of G.P (Jersey) Limited, that holds approximately 15.06 per cent. of the Existing Ordinary Shares.